You might have noticed or have heard that the NASA website is no longer functioning. This is a regrettable situation that could have been avoided. The purpose of this communication is twofold: update you on the sequence of events that lead to this and invite your comments on the future of the NASA registry (Associated Registry, asregistry@gmail.com, 785-456-8500) Your comments should be directed to me as the proprietor of the NASA registry. My email address and phone number are provided above. I sincerely hope your feed back will allow me to retire gracefully or at the minimum help me create a future design for the registry and an allied Association which will be positive for all Savannah enthusiasts. 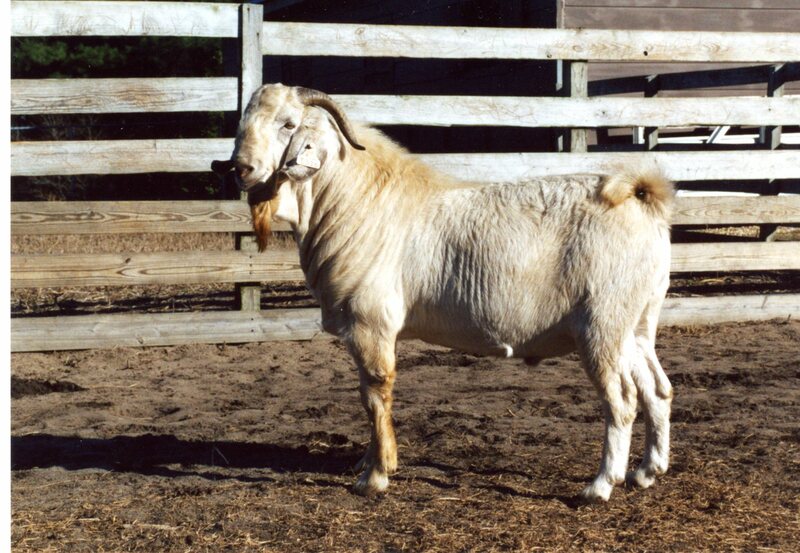 “In terms of lean product produced per unit of input, goats cannot compete with the other meat producing species on grasslands, improved pastures or in a feedlot scenario. I was tired and seriously depressed with the fact that I had wasted the most productive period of my life chasing the “meat goat dream”. I had enthusiastically pioneered an industry which stubbornly has resisted development and my attempts at association leadership seemed to be failing: few were concerned with performance testing and even fewer with larger industry development issues. The biggest issues I had to address were red headed Savannahs, ears and horns that might suggest Kiko influence and how to keep NASA free from “imposters”; those white goats with uncertain backgrounds that might pollute our full blood gene pool. My oft repeated suggestion that; “pedigree without performance is meaningless”, was being ignored. Many of the Savannah breeders who contacted me seemed to focus their attention on an “ideal” of the breed rather than the reality of occasional off colour Savannahs. The most passionate callers seemed to suggest that a perfect “image” was of more concern than a functionally efficient goat. My resignation was imminent for I believed that we could not move forward without a serious attempt at industry wide reconciliation. I suggested that NASA needed to create “a bigger tent”. We needed to be more welcoming and less restrictive in our registry. We had to find a way to broaden the Savannah gene pool and harness the collective energies of a whole new generation of breeders who really didn’t understand the past and perhaps didn’t care to. We had to pave the way for the participatory democracy that I had espoused in the past. Yes, I was ready to resign. I was clearly in the way. In March, the Savannah breed lost one of its primary breeders. Dale Coody needed to be recognized for his contributions. My tribute letter is attached. I did not distribute this to a large number of breeders due to a very negative response from many within NASA. More than anything else, these comments galvanized my interest in creating a broader dialogue with others. I was irritated, yes, but willing to accept the criticism/difference of opinion and try and move forward. “Registry Reciprocity in the Savannah Breed” was my next attempt at communication and this paper is attached as well. It was published on the Savanna Breeders and Savannas 4-sale Facebook page. The dialogue back and forth on this page will be instructive to many. I invite you all to contact me with your hopes and ambitions for the future. If you prefer to phone make me aware of your interest and I will call at your convenience and my nickel.